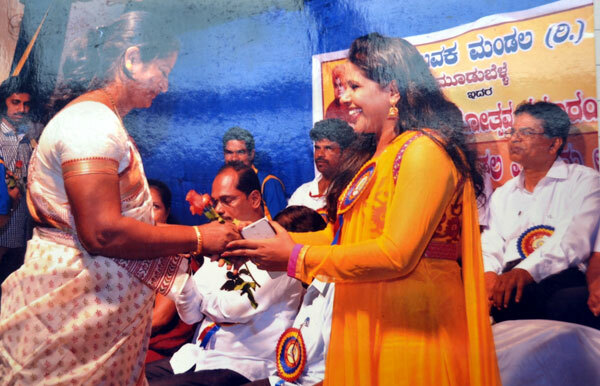 Udupi, 08 Mar 2016: It is a matter of great satisfaction for a person, especially for a woman hailing from village and farming background to aspire for higher education, venture into social work, enter politics and eventually occupy the seat of honour and power in the village panchayat and carry on good governance in the interest of the villagers. On the occasion of International Women’s Day celebration, Bellevision.com found such a woman in Mrs. Ranjani Hegde who by her social work, determination and dedication carved a niche for herself in the village of Belle-Kattingeri, entered electoral politics in village panchayat, got elected twice as the member of the Belle Grama Panchayat and has had the honour of being elected as the President of Belle Grama Panchayat in June 2015. The journey of Mrs. Ranjani Hegde from a humble beginning to the seat of President of Belle Grama Panchayat has been a difficult and adventurous one. Born on 30 August 1967 as the third among four children, two sons and two daughters of late Appanna Hegde and late Lalitha Hegde at Sangli, Maharashtra where her father was managing a hotel, Ranjani, who was barely three years old along with her mother and other siblings had to move to Kattingeri when her maternal uncle suddenly passed away. 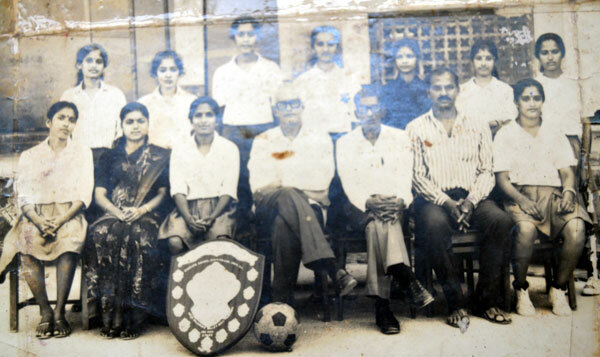 Ranjani had her schooling right from first standard up to PUC in the Church Aided Higher Primary School, St. Lawrence High School and PU College in Moodubelle, clearing SSLC in 1985 and passing PUC in 1987. 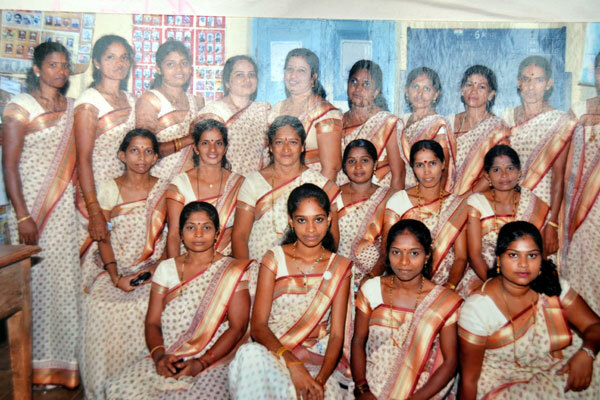 While in school, Ranjani not only proved to be a good and obedient student but also a versatile sports-girl. Though girls from conservative families were not encouraged to go for higher education, Ranjani had great desire to get herself equipped with college degree and persuaded her parents to send her to college education in Udupi. With the support of her parents Ranjani joined the B.Com. course in MGM College soon after completion of PUC. While in college, Ranjani, along with studies, took keen interest in developing her personality and actively participated in sporting events. 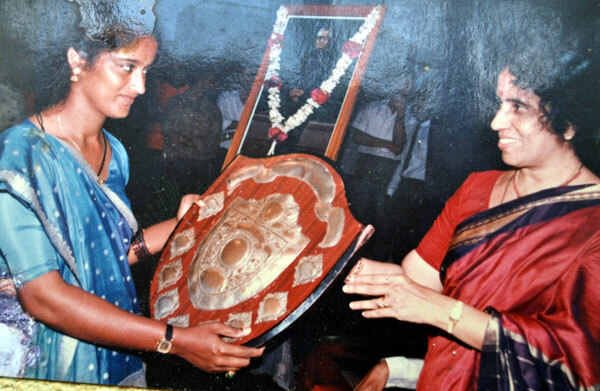 She was a good player in Volley ball, Throw ball and Kho-kho and participated at the University level tournaments winning many of them for the college. Ranjani also joined as a volunteer in the National Service Scheme(NSS) in the college that gave her a strong base in social work which she would undertake later. After three years of studies and NSS and sporting activities, Ranjani acquired the B.Com. Degree from Mangalore University in 1990. 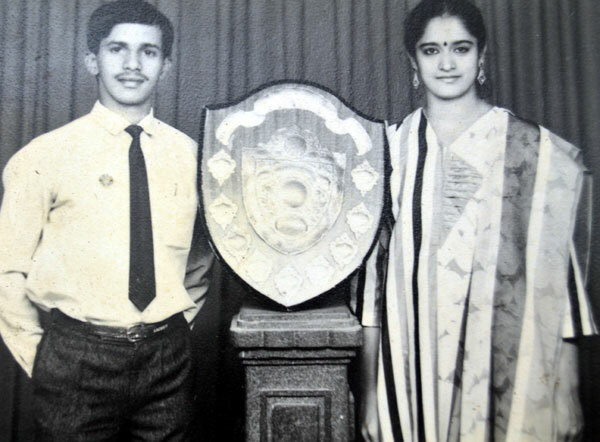 Ranjani expressed her disappointment that her quest for further studies especially in the Law College could not materialize as the lectures in the Law College in Udupi used to be quite early in the morning and as such there was no transport facility so as to reach the college for 7 am lecture. Besides, her mother was not in favour of Ranjani going for further studies. With the background of social work that she had as NSS volunteer while in the MGM College, Ranjani joined as a Resource Person in Complete Literacy Movement in Udupi and Mandya Districts from 1990-91 and was successful in training 12 illiterate persons in reading and writing. It was while working as a Resource Person in Udupi and Mandya Districts that Lingadeva Halemane, the Executive Director of State Resource Centre for Indian Government’s Mass Functional Literacy Programme advised Ranjani to be a social worker in Action Aid Karnataka Project in Jagalur Taluka in Chitradurga District where she worked for 11 months from 1991-92. With dreams in her eyes and determination in her heart, Ranjani left her native village and migrated to Mumbai in 1992 in search of better employment and bright future. She was fortunate to get the post of an Assistant Accountant in a Chartered Accountant’s Office. Thereafter, for 16 years from 1992 up to 2008, Ranjani worked in different firms ranging from garment factory, real estate office and electronic companies in different capacities such as accountant, telephone operator, receptionist and personal assistant. In the course of her stay and work in Mumbai, Ranjani met Shridhar, a native of Kumbakonam near Chennai who was working in an office close to hers and they were married on 21 April 2000 and their only son Rohith was born a year later. 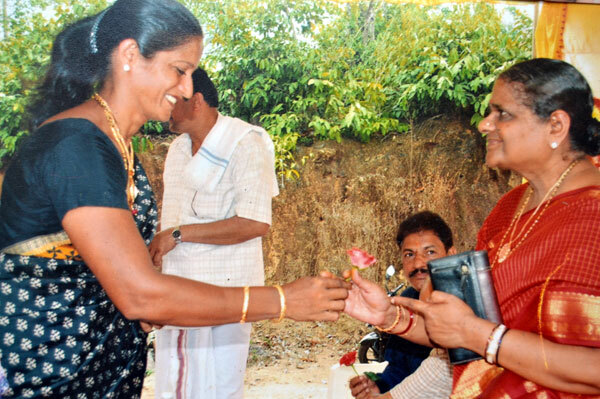 Following her father’s death Mrs. Ranjani Hegde decided to come back to her native village, Kattingeri to look after her ageing mother and returned home in 2008. While taking care of her mother, Mrs. Ranjani also had to look after agricultural activities on the family farm. 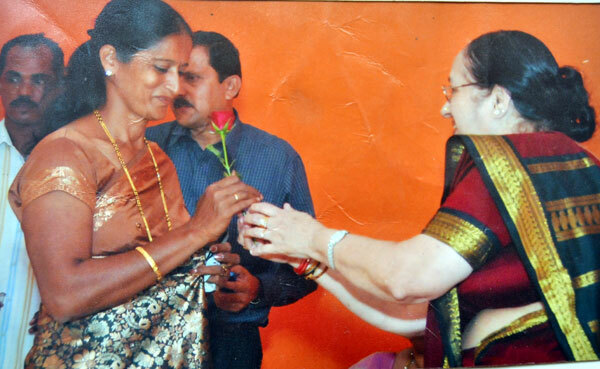 With her educational background, love of social work and experience of serving in different companies in Mumbai, Mrs. Ranjani Hegde had a desire to contribute her bit to the villagers, especially women and plunged herself in social work, meeting women, listening to their problems and trying to support them morally as well as financially to the extent possible. 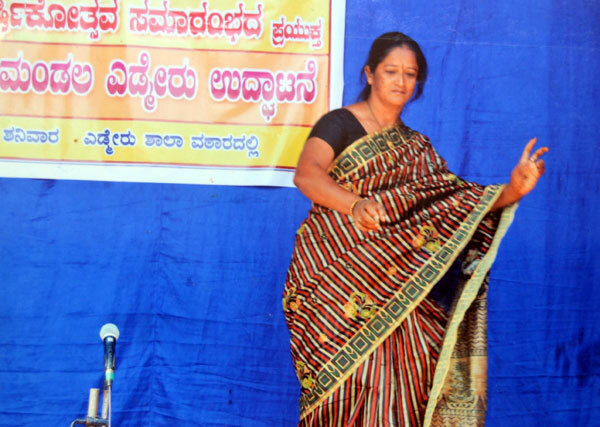 The social work and popularity of Mrs. Ranjani Hegde prompted her to enter political arena and for the first time she contested Grama Panchayat elections in 2010 and with the support of the BJP she got elected as the member of Belle Grama Panchayat. As the panchayat member, Mrs. Ranjani Hegde used her position to extend various government facilities to the poor and needy. During her tenure as the member of the Grama Panchayat, Mrs. Ranjani Hegde helped more than 50 senior citizens to avail old age pension known as ‘Sandhya Suraksha’. She also helped in getting pension for five unmarried women above the age of 45 years under ‘Manaswini’ pension scheme and pension for eight physically challenged persons. Under Mahatma Gandhi National Rural Employment Guarantee Act (MNREGA) she helped a large number of unemployed villagers to get employment under which various developmental work was undertaken. Under Pradhan Mantri Dhan Yojana, Mrs. Ranjani Hegde helped around 400 persons to open accounts in various banks. She also enrolled 50 persons in Pradhan Mantri Bhima Yojana. With an attempt to organize the women in useful activities, Mrs. Ranjani Hegde took initiative to start Nisarga Mahila Mandala of which she is the president. 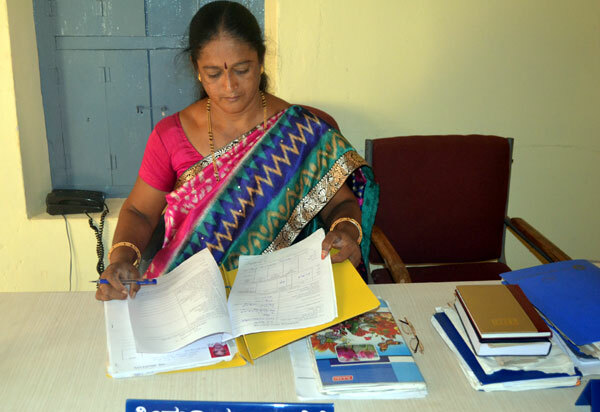 Because of her efforts, 8 Self-help Groups have been established culminating in the Belle Navodaya Swasahaya Okkuta of which she is the Chief Secretary. 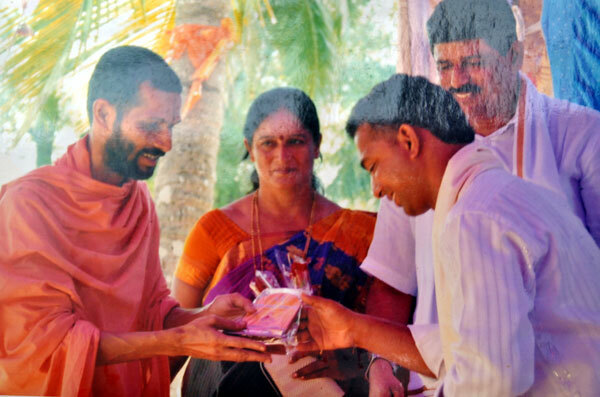 Mrs. Ranjani Hegde was instrumental in bring the farmers of the village under one platform and established the Brahma Lingeshwara Raita Okkuta of which also she is the president. 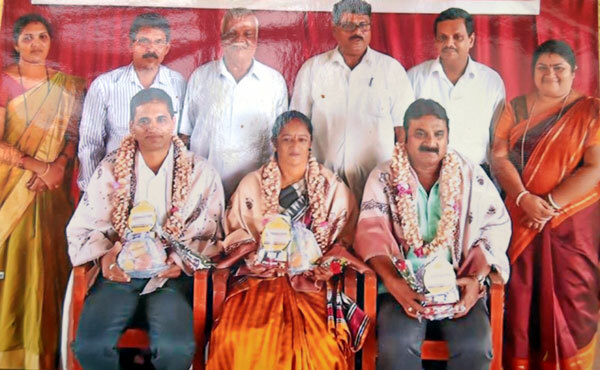 When the elections were held for the Belle Grama Panchayat in 2015, Mrs. Ranjani Hegde once again contested and got herself elected with comfortable margin. 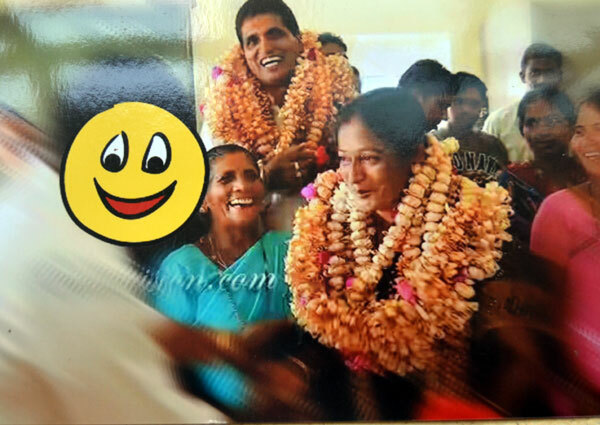 Her performance as the member of Belle Grama Panchayat during her first tenure from 2010 to 2015 was greatly appreciated by the ward members who returned her to the panchayat for the second time. The Panchayat elections of 2015 threw up a peculiar situation in the Belle Grama Panchayat. Out of the total of 18 members, the equation was 9 each supported by the BJP and the Congress parties. Hence, the election of the President of the Panchayat became a tricky issue. 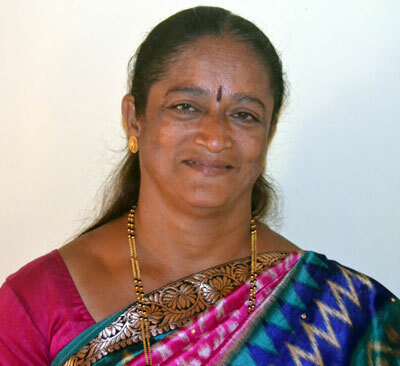 When asked about her success in being elected as the president of Belle Grama Panchayat in spite of both Congress and BJP having equal number of members, Mrs. Ranjani Hegde said that as the post of President of Belle Grama Panchayat was reserved for the women belonging to general category, she being one of the BJP members expressed her desire to contest the election to the post of the president based on her past experience as the panchayat member and also her social work and educational qualification. However, certain local BJP leaders were not in her favour as they wanted to project someone else who was first time member of the Panchayat as the candidate for presidentship. Thus, Mrs. Ranjani Hegde failed to get the necessary support from the BJP group to claim the post of the president of the Panchayat. Meanwhile, the Congress members, realizing an opportunity to have control over the Panchayat readily agreed to support the candidature of Mrs. Ranjani Hegde for the presidentship of the Panchayat. 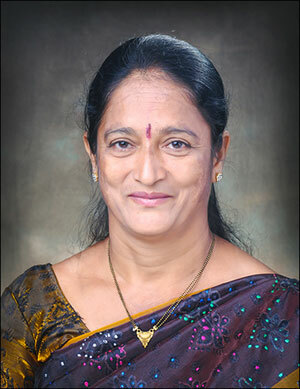 Mrs. Ranjani Hegde, who had been a BJP member since her joining political activities being disappointed with the lack of support for her claim to the post of presidentship from her own party, willingly accepted the backing of the Congress and was elected as the President of the Belle Grama Panchayat on 30 June 2015. 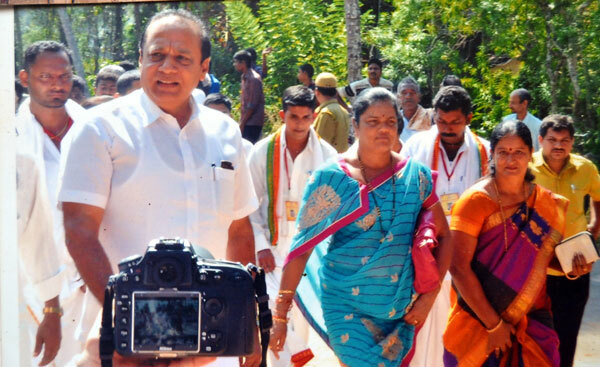 It has been eight months since Mrs. Ranjani Hegde occupied the post of President in Belle Grama Panchayat. During these eight months, according to her own account she has performed quite well in the matter of governance. During these eight months she has managed to get sanction for 20 houses under ‘Basava Vasathi’ Programme; scholarships to the children belonging to SC/ST; house repair and electrification grants to SC/STs; and old age pension to needy persons. Besides, the water supply pipes have been repaired and there is regular supply of drinking water to the consumers and street lights are in perfect working condition. When asked about the future programmes, Mrs. Ranjani Hegde said that the Panchayat has prepared the blueprint of the various projects to be undertaken and copy of it has been submitted to Vinay Kumar Sorake, Minister for Urban Development and In-Charge Minister of Udupi District. These projects include asphalting and concertizing of various roads, construction of bridges, construction of Ambedkar Bhavana in SC Colony at Thirlapalke, setting up of solar street lights, construction of shops at Santekatte and laying of interlock in open space, construction of vented dams, etc. 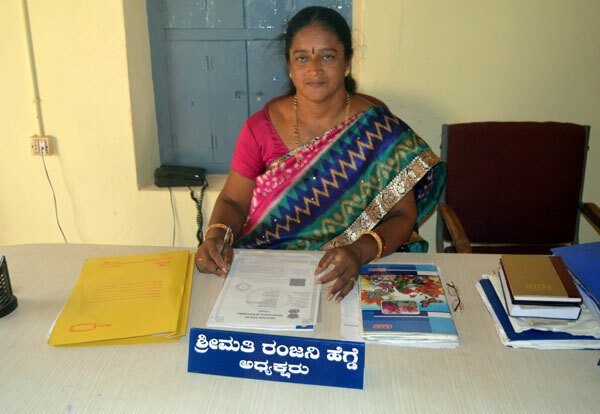 Mrs. Ranjani Hegde has been taking her post as the President of Belle Grama Panchayat quite seriously. She attends the Panchayat office daily and spends around 4 to 5 hours in the office meeting people and listening to their problems and attempting to solve some of them which are within her jurisdiction. The problems that people bring to her notice range from denial of right of way to some neighbours by certain people to domestic disputes and atrocities, lack of facilities, etc. In her own way, Mrs. Ranjani Hegde tries to attend to these problems and grievances of the people. 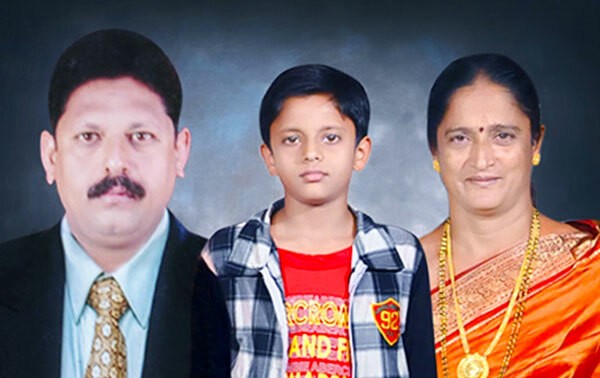 While Mrs. Ranjani Hegde’s husband, Shridhar is presently serving in a reputed company at Bangaluru, their son, Rohith is studying in 10th standard at St. Lawrence English Medium High School, Moodubelle. The journey of Mrs. Ranjani Hegde from a dedicated social worker to the position of president of Belle Grama Panchayat has beeen quite challenging and inspiring. Her education, participation in sports, social work and political activities along with managing family farming manifest her dedication and hardwork. 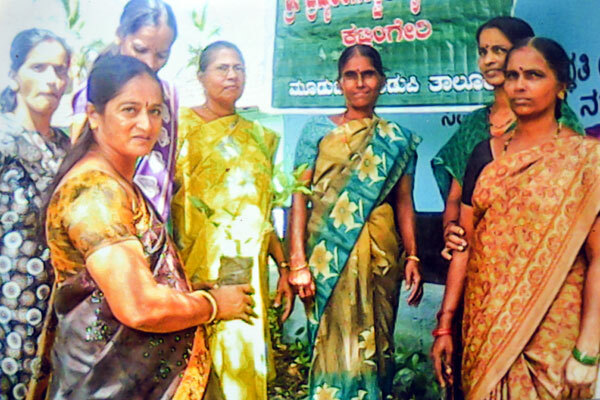 On the occasion of International Womens Day, Bellevision.com congratulates Mrs. Ranjani Hegde on being elected as the president of Belle Grama Panchayat and wishes her success in providing good and efficient administration to the villagers. Hi,Ranjani. I was reading you article, quite impressive about your achievement. As a local candidate you can contribute lot your community. A primary health care centre where you have all basic investigation facilities like xray,Lab. etc., so that lot of health issues diagnosed early and get treated.Better roads to rural areas and maintained. Get involved the local politician, not only attending all functions like celebrities and get honoured,that what I see all the time on the belle vision news.Lot of us has to leave the country for out future.You got opportunity to serve the community. Our sincere support is there always.All the best. Dear Ranjani, was proud and happy to read the above article. Your good work to the society specially the old aged is appreciated. My mother your next door neighbor is the witness for the same. Congratulation and keep the good work going. Congratulations Ranjani. Happy for you and proud of your achievements. Wish you all the very best in your tenure. Hope we will have more leaders like Ranjani Hegde at local levels for building good governance. Wishing you this day for all your love and care for our native people in Moodubelle. May God bless you in your mission and strengthen you in your hard work towards uplifting of poor. Happy Women s Day. We all know Mrs Ranjgani Hegde is very hard working, honest qualified person,helps poor not taking any money from them But she is little inexperience with local politics I wonder how she can deal with some rude staff of our Panchayat plus her God father She is helpless on this matter I don t think she cant take her own decision regarding local issues.I feel sorry for her previous party mates betrayed her it was known fact Any how she managed find top panchayat post I wish her all best I have a request with her as a local can she clarifie house, shop tax? Congratulations Mrs. Ranjani Hegde. Proud to know the personality and achievements. It is not important which political party she belongs, proud to have person of such caliber and ability as a president. Wishing all the best in her assignments. Thanks to Dr. Eugene for introducing her on the occasion of International Womenâ€™s Day celebration!